Australia’s largest banks are in trouble. Ten years after they successfully circumferenced the global financial crisis, the four largest banks and AMP, Australia’s third largest fund manager, are now deeply mired in gross financial misconduct. As the biggest scandal in the Australian financial services sector deepens the mis-selling of insurances, alleged bribery, and forged documents prompted a criminal charge, class action suits, high profile resignations and a royal commission, which could eventually force the separation of the development of financial products from sales of them altogether. To pre-empt this scenario, banks are already spinning off their asset management companies. In May 2018, the National Australian Bank (NAB) said it will exit its advice platform, superannuation and asset management businesses before the end of next calendar year 2019, while the Commonwealth Bank of Australia (CBA) announced in June 2018 it would step up plans to offload its wealth management businesses as it looks to become a smaller lending-focused bank, as well as announcing an overhaul of its executive ranks. At the centre of the scandal lies a wealth management business model which CBA, ANZ, Westpac and NAB have cultivated for years – that is the provision of financial advice and the manufacture of financial products. Around their platform, they built a large pool of financial advisors to sell it. This modus operandi called vertical integration was being used across Australia and Asia in various forms to achieve economies of scale and reduce cost. “If you look back ten years, the top ten investment banks in the Australian Equity Capital Market had their own wealth management businesses. Today, the vast majority of these players have exited wealth advice. The exit from private wealth by investment banks such UBS, Goldman and Deutsche Bank was driven by the fact that they no longer needed to have access to retail investors to win capital market deals. 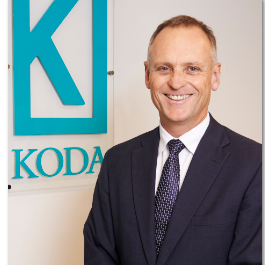 Today, you have the kind of wealth advisory businesses that spun out of the investment banks, and then you have the wealth advisory business that were aggregated up by the commercial banks,” said Paul Heath, founding partner and chief executive officer, Koda Capital in Australia. Heath also identified four significant issues why commercial banks have struggled to realise the opportunities around wealth and their asset management companies. Banks worked hard to make this integration work but what came with it was an increase in the level of reputational fall out. “In a wealth context you want to earn the trust of the client. In a banking relationship, it’s incumbent on the client to earn the trust of the bank. To protect balance sheet, a bank’s mentality tends to minimise risk in the process whereas in an advisory business, if you want to do a really good job with the client, you have to be open to working with risk. The organisational DNA that makes a very successful commercial bank is often very counterproductive in a wealth context and commercial banks struggled with these fundamental things for a long time,” he explained. The second biggest issue is that the model has evolved with cross subsidisation between the advice, the platform and administration, and the product manufacturing businesses; and the inherent conflicts of businesseswere never really adequately addressed. While the law in Australia permits this conflict to exist, it was never appropriately managed. “I should also say that for every example of financial misconduct in the Australian Royal Commission, there will be thousands of good examples where this system has worked. But the reality is that the whole idea that banks could own both sides of the clients balance sheets if they were in the wealth business hasn’t been proven sustainable. The conflicts inherently existed as it was fundamental to the economics of the model. Thus, the advice capability was really a sales capability and it was subsidised by the product and the platform,” Heath added. A survey among the big four commercial banks and AMP released by the Australian Securities and Investment Commission (ASIC) in January 2018 found that while the product list that banks offered included a higher proportion of external products (79%), compared with in-house products (21%), the value of funds invested by customers after the advice provided was the reverse. Customers invested their money in 32% of the external products, compared with 68% invested in in-house products. The report also found that in 75% of the customer files reviewed, the adviser had not demonstrated that he/she had sufficiently researched and considered the customer’s existing financial products; and/or based all judgements on the customer’s relevant circumstances. Both findings above were indicative enough for ASIC that the conflict of interest was not appropriately managed. That 75% of the customer files ASIC reviewed were non-compliant does not mean that these customers were significantly worse off as a result of following the advice. In fact, in only 10% of the cases, the commission determined that customers were likely to be significantly worse off as a result of the following the advice of the bank’s relationship manager. For the balance of the files (i.e. 65%), the report stated that it could not be demonstrated that the customer would be in a better position following the advice. Heath believes that the current fall out was not regulatory driven. The key reason is the growing concern among the public and wealth management clients,a trend banks simply ignored to take into account. “Pre global financial crisis (GFC), a client would look at a big institution that offered all the components of the wealth service and see this as strength. But post GFC, the concern was growing among clients about whose interests are really being served,” said Heath. After years of public pressure from consumer groups, whistle-blowers and segment of politics, a royal commission was set up in December 2017 that will run through 2018 to investigate whether any of Australia’s financial services entities have engaged in gross financial misconduct, and if criminal or other legal proceedings should be recommended. For Heath, advice must sit within a professional context and the most successful advice models globally sit in a conflict free environment. “The future structure of a wealth advisory business must look more like the professional partner model of a legal and account firm than a bank. You are in the advice business or you are in the product business,” he said. The wealth management market is going to bifurcate. Heath believes that at the high end of the market, high net worth individuals (HNWI) will increasingly pay for advice not sales. “At the smaller end, the benefits of scale that come with owning the asset management platform and advice piece will continue to work but in these models the relationship managers will be called not advisors but salesman. It’s not enough to disclose this conflict of interest. The pressure is shifting now to avoid it,” he explained. With the shift in consumer demand, regulatory paradigms, and the economics of the model, the presence of new technologies, and increased compliance, cost players need to be agile and customer centric. “You need to have an intimate trusted relationship with the client. You need to offer bespoke solutions and the big players struggle with this level of tailoring. For Australian banks, the reputational risk is now so great that they are exiting these businesses. Investment banks were more nimble and got out quickly,” he added.